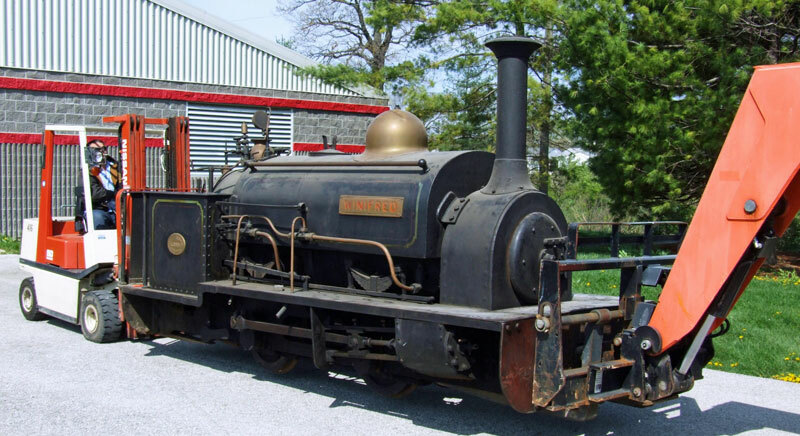 Winifred was built in 1885 by the Hunslet Engine Company for the Penrhyn Slate Quarry. She spent most of her working life at Port Penrhyn where she sorted wagons of slate ready for loading onto ships for transport all over the world. She then spent the last ten years of her life working in the quarry itself. 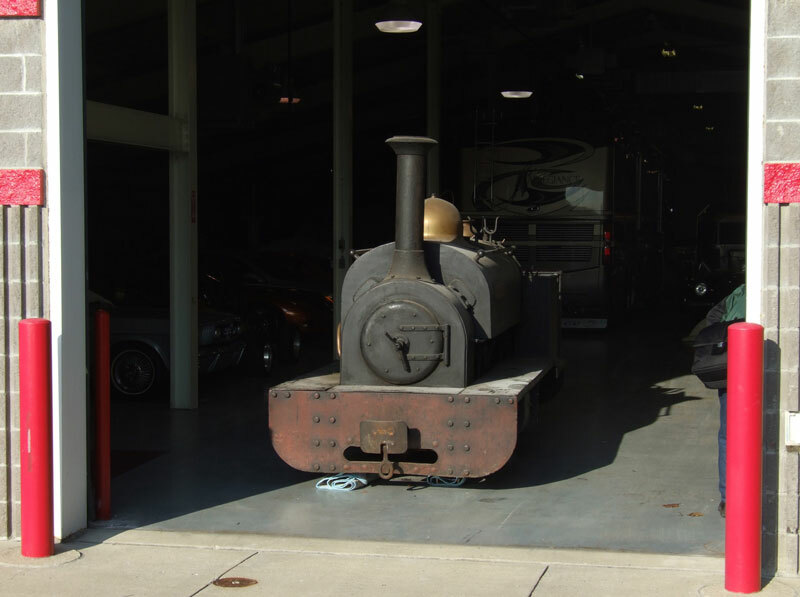 When the quarry decided to change to diesel locomotives she was sold and transported to America where she spent the next 50 years in a museum store out of sight. She was purchased by Julian Birley in 2012 and brought home to Wales. 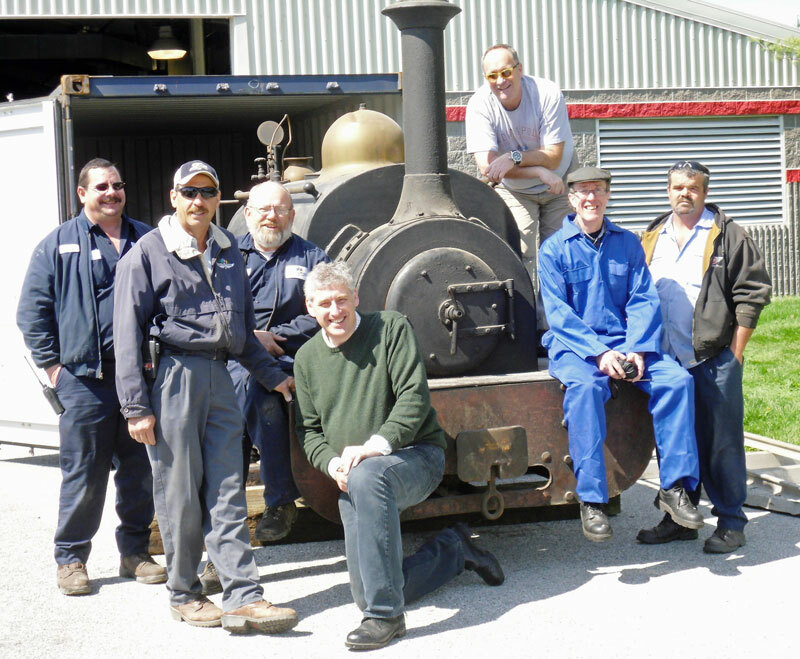 Following completion of an extensive overhaul in our own workshops Winifred returned to steam in the spring of 2015. 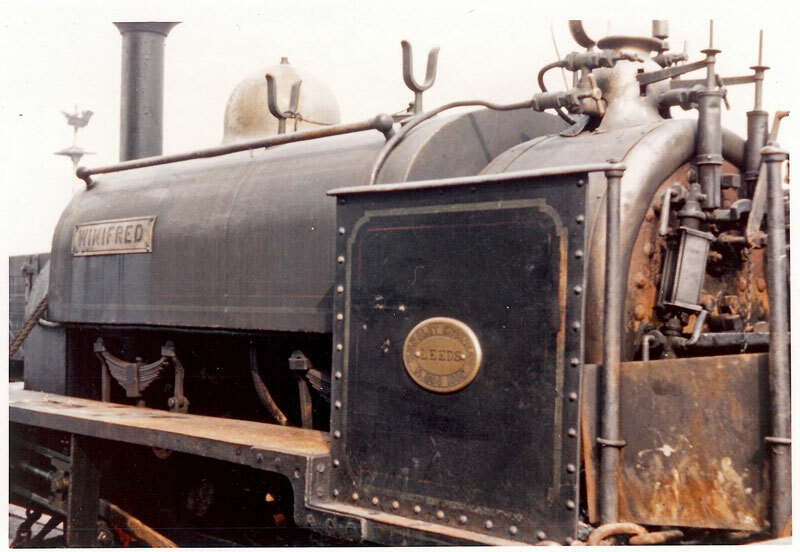 Loco number 364 was named “Winifred” after Hon Winifred Douglas Pennant (b. 1882 d. 9 Dec. 1972 without issue). She was the daughter of George Sholto Douglas Pennant 2nd Baron Penrhyn and his second wife Gertrude Jesse Glynne. 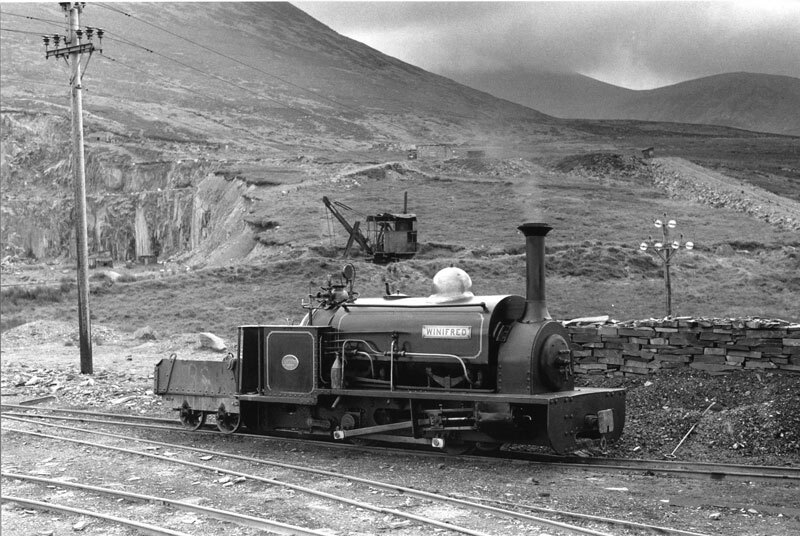 “Winifred” was bought for shunting duties at Port Penrhyn, following the earlier purchase of “Gwynedd” and “Lillian”. The General Arrangement Drawing for “Winifred” was No. 4604. She remained at the port until 1955 when a diesel locomotive took over her work and she was transferred up to the quarries. 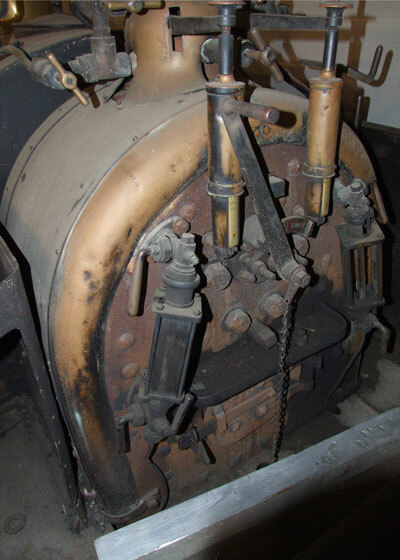 The engine received a new firebox in 1920 and was out of service between July 1936 and June 1937. 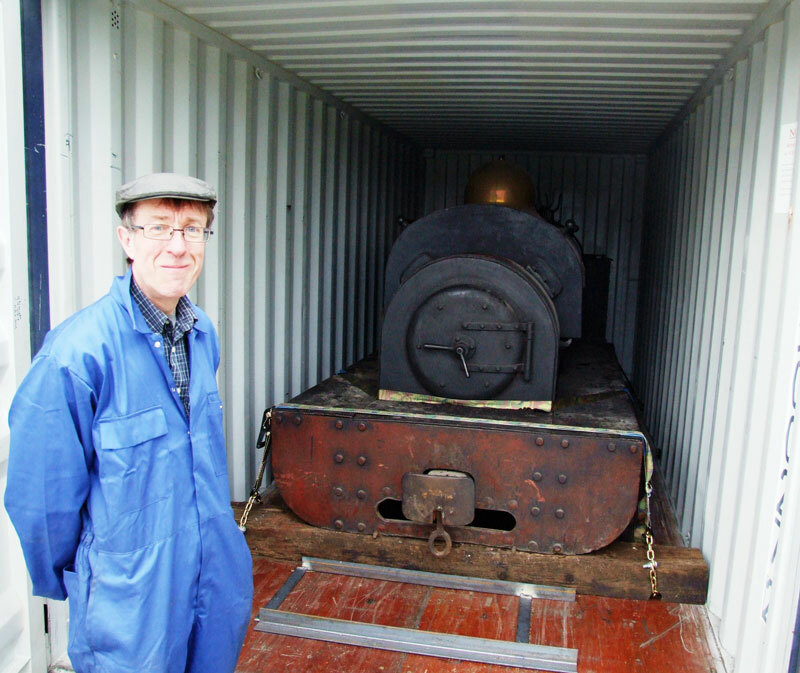 During this time, her boiler was taken off and a further new firebox was fitted. 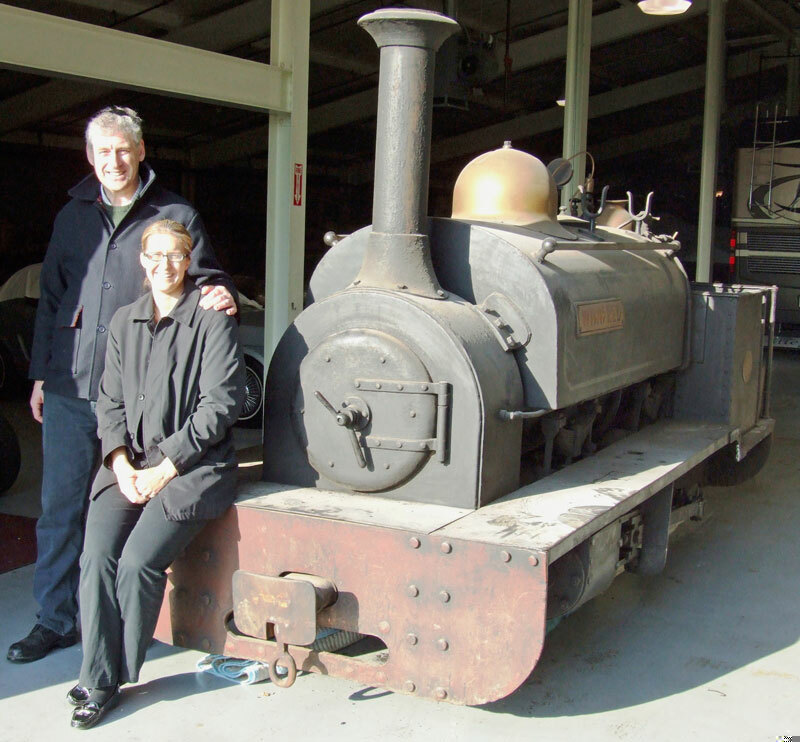 In January 1952, the boiler was removed again, this time being transferred to “Lillian”. 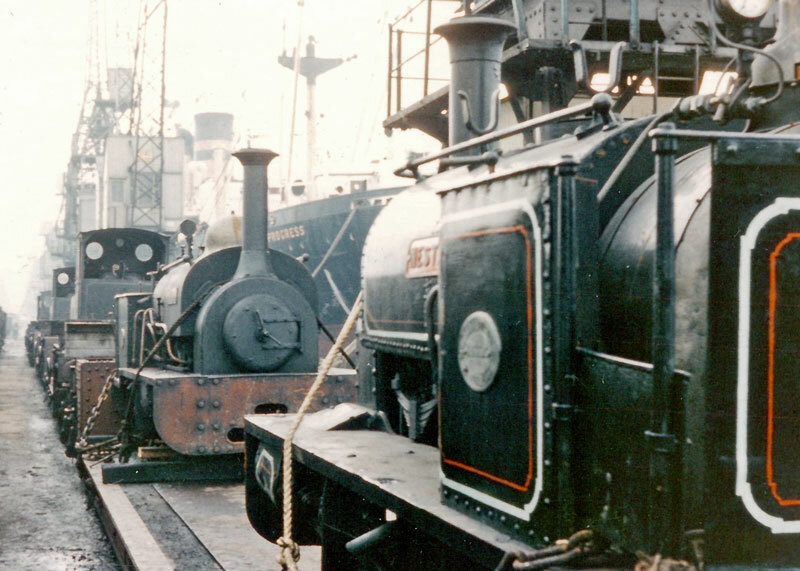 The replacement boiler was thought to be that previously on “Lillian”, after having been repaired with a new barrel, back plate and firebox, and “Winifred” appears to have returned to service in 1953. There is, however, some doubt about this as another source believes a new boiler was delivered in 1952 for “Winifred”, although it is known that this was not fitted until sometime later. Perhaps the ‘new’ boiler was actually the extensively repaired unit; certainly the listed repairs indicate that there could not have been much left of the original! 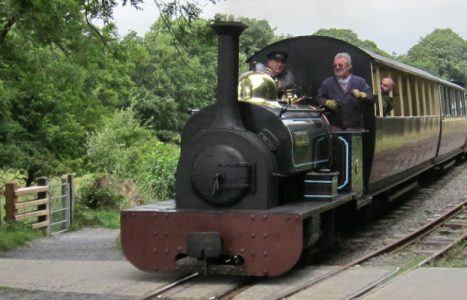 It is also believed that an all welded water tank was made and fitted to “Winifred” at the same time as the boiler swap. 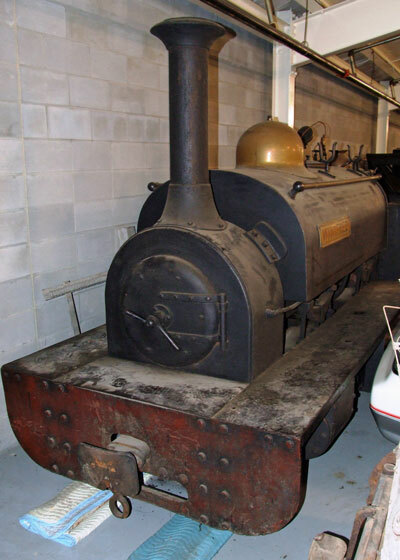 The engine worked on the William Parry gallery until 1964 when she was taken out of service. On 4th January 1965 the BBC screened the Tonight Programme and it featured a report by the veteran broadcaster Fife Robertson from Penrhyn Quarry. He was reporting on the demise of the steam locomotives in the quarry that were being replaced by diesel locos in the name of progress. An American antique dealer, Mr. C. B. Arnette, was over in the UK buying stock and saw the programme whilst staying in Glasgow. Not being a railway enthusiast but sensing a business opportunity he immediately went to Penrhyn and bought six locomotives for export back to the states. So it was on the 31st July 1965 “Winifred” along with “Nesta”, “Marchlyn”, “Cegin”, “Ogwen” and “Glyder” set sail on the SS Manchester Progress bound for Norfolk, Virginia and the New World. On arrival they were taken to Murfreesboro in Tennessee where they were put up for auction on 14 September. About 300 people attended the auction, mostly dealers from throughout the eastern half of the United States. 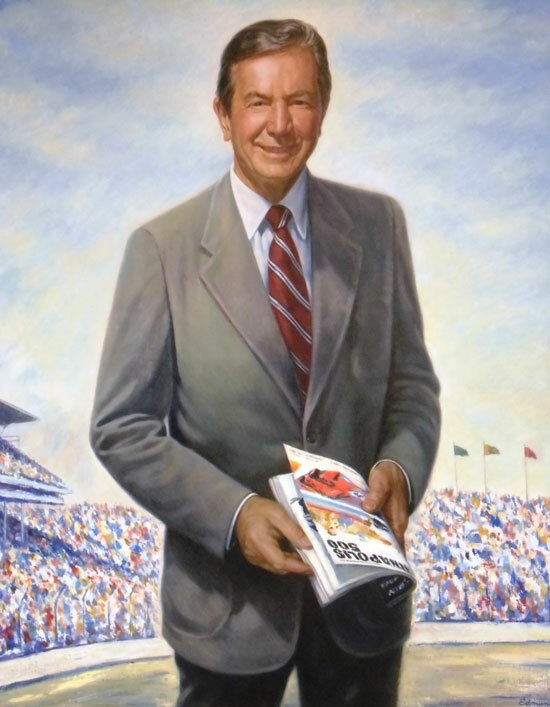 One of the main bidders was Mr. Anton (Tony) Hulman owner of the famous Indianapolis Motor Speedway home of the Indy 500 race. 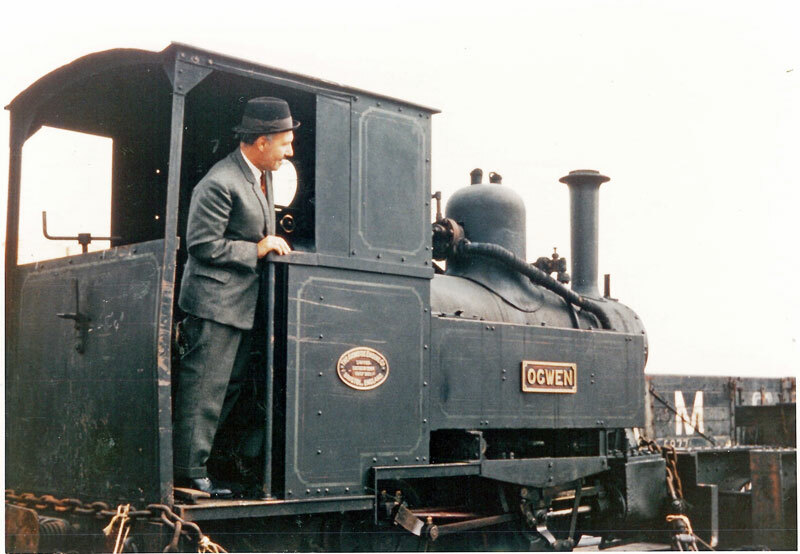 Mr Hulman bought three of the locomotives: Glyder; Ogwen; and Lot no. 25, Winifred, for $3300 – approximately $24,000 at 2012 value (£14,800). 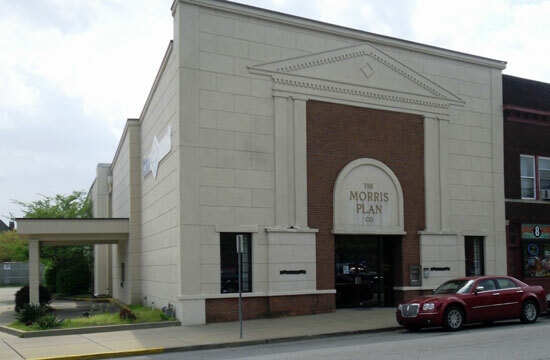 His intention was to set up The Early Wheels Museum in his home town of Terre Haute some eighty miles west of Indianapolis. In fact it was only Winifred that was exhibited and that was only for a few years. 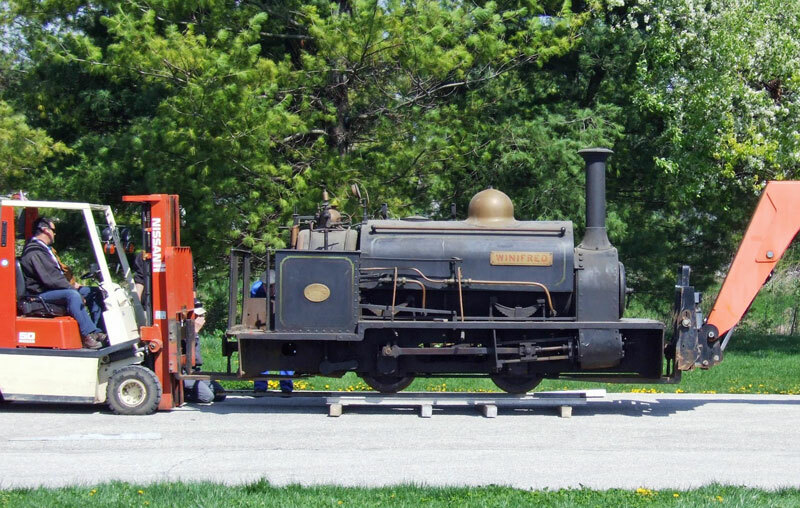 After the museum closed she was taken back to Indianapolis where she was put into storage. 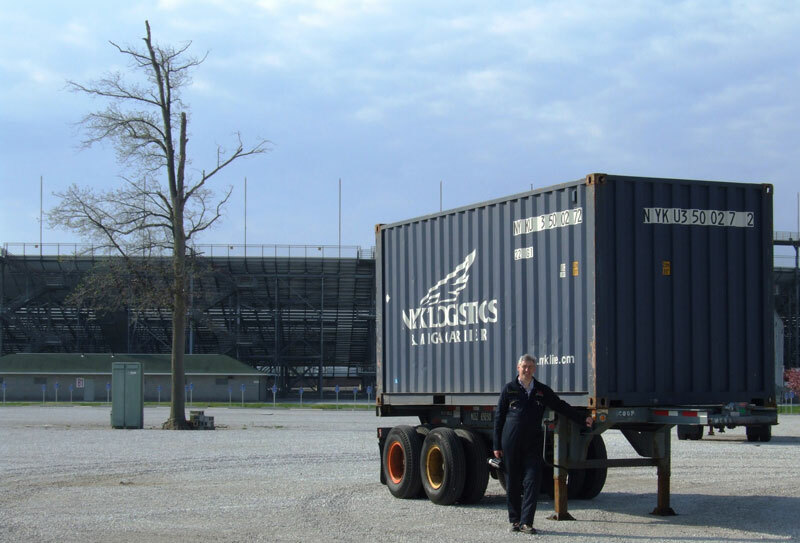 In 1992 she was moved one last time into a new warehouse within the grounds of the race track and there in a climate controlled environment she was to stay until 2012. 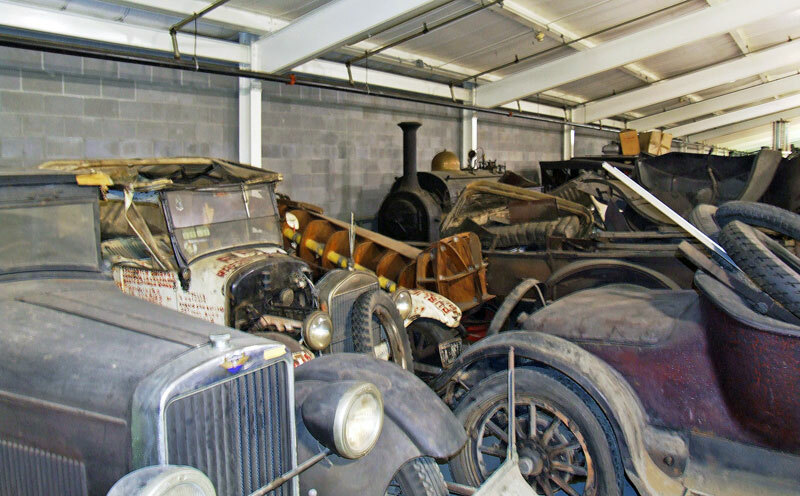 In February 2012 a deal was struck between the directors of the Motor Speedway Museum and Julian Birley and Graham Morris for her repatriation along with “Ogwen” and “Glyder”. Having had a preliminary visit, Julian and Graham flew back to begin the loading of the engines on 27 March. 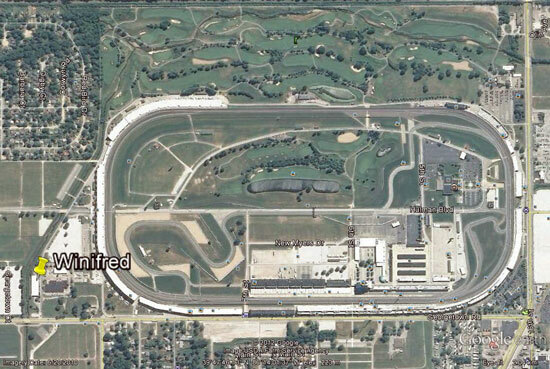 Winifred moved for the first time in 40 years…. Sideways! She was slid over towards the door. Ellen Bireley officially handed over ownership to Julian and Graham, who took over the masterminding of the loading. Employees of the raceway then came forward offering what ever help was needed. 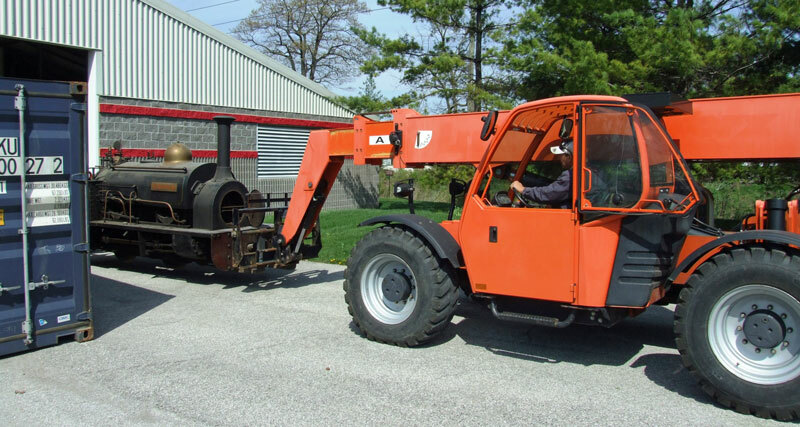 Graham only needed to mention a tool and it would appear with its own operator whether it was a telehandler, chainsaw or welding equipment. They could not have been more helpful or accommodating. The first thing that had to happen was carry Winifred out into the daylight and position her the so she was loaded backwards this was to ensure that on her arrival back in Wales she came out the right way round. All packed ready to come home. Waiting for the tractor unit in the shadow of the grandstand. 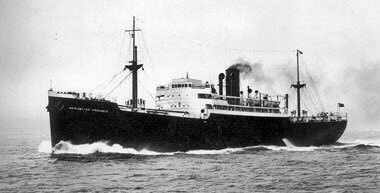 From Indianapolis Winifred then went to Chicago where she was loaded onto a train bound for Norfolk in Virginia, ironically the port where she arrived into the country all those years ago. 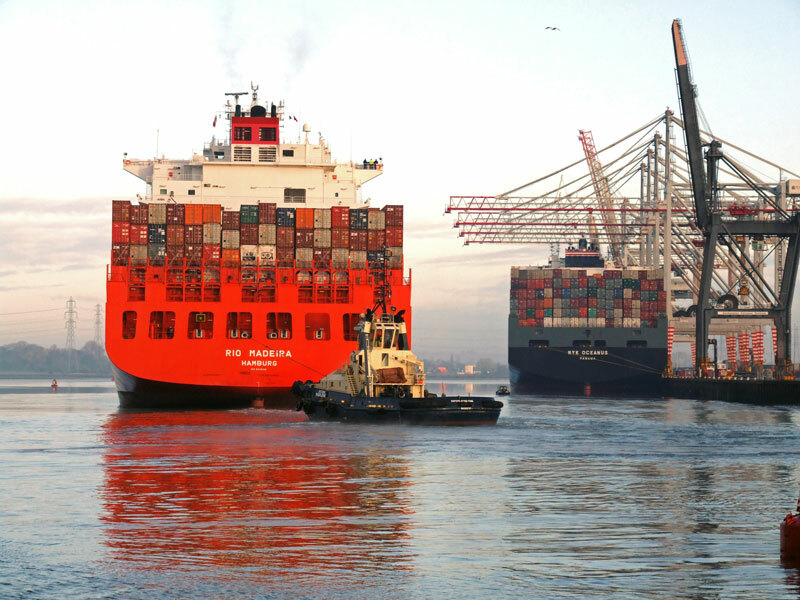 From there she boarded the container ship the Rio Madeira and embarked on the longest leg of her journey via Charleston, South Carolina, across the Atlantic to Rotterdam, then Hamburg followed by Le Harve before arriving in Southampton at 07.00 on April 21st 2012. 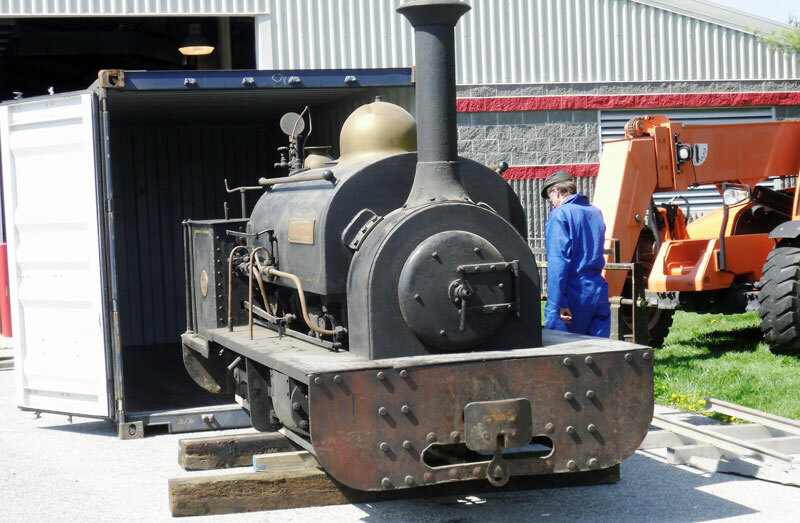 On 28th April she finally ended her journey arriving at Llanuwchllyn. Here she was unloaded and was displayed for the summer alongside her little sisters. During the winter of 2012/13 Roger and Rob at Bala began the task of the restoration by stripping her down to her component parts. 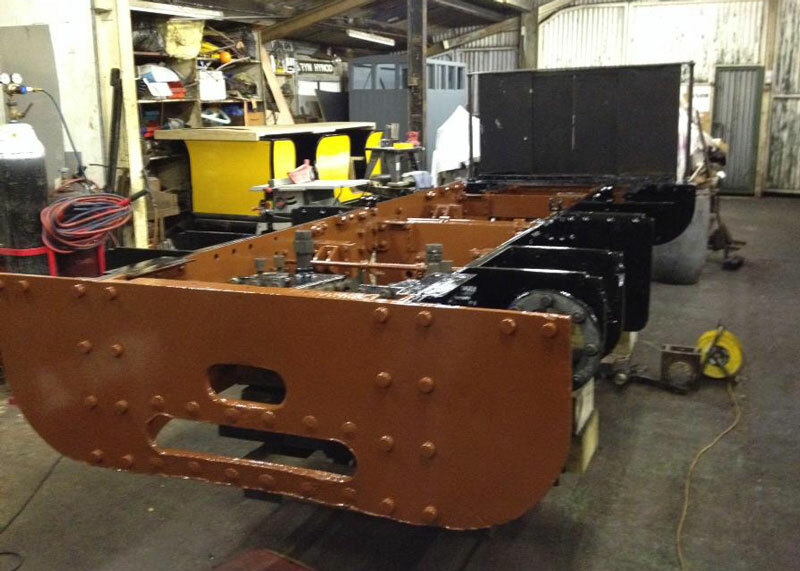 Much progress was made through 2013 on the rebuilding of Winifred and the frames were nearing completion and awaiting the return of regauged wheelsets from Boston Lodge on the Ffestiniog Railway by October.